"Eh!" Yemo Tian frowned, then murmured discontentedly, "I thought she would die directly for breaking a vow!" With a sullen face, Ji Hao raised his head, looked at Yemo Tian, and said, "She didn’t mean to unswear. Everything happened because of you. Therefore, she was just wounded badly, but did not die. However, you, Yemo Tian, you’re in trouble." The golden bridge flashed across the air and sent Ji Hao to Yemo Tian instantly. Ji Hao made the Big Dipper step as he raised the Taiji divine sword. The sword released a sharp sword light while thrusting towards Yemo Tian’s erect eye. When the sword light was still a few feet away from Yemo Tian, Ji Hao’s strong sword intent had already shredded Yemo Tian’s long hair. Thin, long and bone-deep slashes started to appear on Yemo Tian’s face one after another. These wounds were caused by nothing else but Ji Hao’s sword intent that came straight from deep down his heart. The Dao of sword that Ji Hao learned was created by Yu Yu, and was the fiercest Dao in Pan Gu world. All jade accessories tied around Yemo Tian’s waist burst with dazzling light. As these powerful defensive treasures cracked, the strange-styled divine emperor cloak glowed with a faint light as well. However, Ji Hao boosted up his power and that divine emperor cloak suddenly transformed into a five-colored cloud that rose straight into the air, abandoning Yemo Tian and flying back towards the heaven. Only the rulers of the heaven could control a divine emperor robe like this, and the rulers of the heaven had to be admired by the world itself. The cloak Yemo Tian wore was taken directly from the treasury by Gong Gong himself. Now, the cloak sensed that Yemo Tian was under attack and left right away, without showing any intention to defend him. Puff! Ji Hao’s amazingly sharp sword intent cut Yemo Tian’s entire face into pieces. Large streams of blood surged out through his shiny hair, splashed all over the sky. Yemo Tian screamed in pain. His both legs were softened because of the great fear. He even forgot to trigger the diamond-shaped crystal in his hand — The thing contained in this crystal piece was his ultimate life-saving treasure, the destructive weapon! The sword light dazzled to before Yemo Tian’s erect eye and seemed to penetrate that eye and puncture his head. Kun Peng abruptly showed up beside Yemo Tian with a dark ice Ruyi gripped in his left hand and a dark short sword holding in his right hand, which was coiled by frigid power streams. From both sides, the two treasures blocked the Taiji divine sword. "Marquis Yao, you’re too powerful and violent." Kun Peng laughed with a creepy voice, "But it’s not so easy for you to kill someone right in front of me." Seeing Kun Peng show his face and shield Yemo Tian, Ji Hao turned around and walked straight away, without saying a word. Kun Peng, this old monster was even stronger than Yemo Shayi. With Ji Hao’s current power and the few supreme treasures he had, he could succeed in drawing level with Kun Peng at most, but it would be extremely difficult for him to attain an actual victory. Therefore, Ji Hao didn’t want to waste any time on him. Instead, he walked straight away once he saw Kun Peng. However, after Ji Hao made a few steps backward, the Taiji divine sword held in his hand, which had restrained the strong sword intent yet never took it back, suddenly swung down. A ten miles long sword light roared across the little Kun Peng bird’s neck, the one Yemo Tian was mounted on, which had transformed into its fish shape. The sword light swirled across. This ten-miles long little Kun Peng bird screamed shrilly before its head was chopped off by Ji Hao’s sword. Blood poured down like a storm, instantly, and the bird’s body fell down speedily. 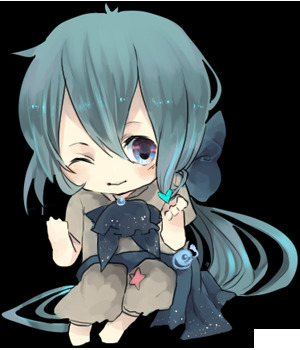 "Little Ruyi!" A minute ago, Kun Peng was laughing proudly, but now, he even lost his eyesight temporarily and nearly fell to the ground. The little Kun Peng bird mounted by Yemo Tian was the youngest great-grandson of Kun Peng, the newest member of his family. Kun Peng loved him a lot. This little Kun Peng bird called Little Ruyi by Kun Peng hadn’t been able to even transform into his bird shape from his fish shape, not to mention a human shape. Normally, he traveled around the world as a large whale, and because of he was a beloved great-grandson of Kun Peng, no one dared to offend him. But Ji Hao was a brutal one. He failed to kill Yemo Tian, so he conveniently chopped little Ruyi. Kun Peng’s heart twitched in pain. Looking at Little Ruyi’s falling corpse, he opened his mouth and let out a mouthful of blood. While trembling, he pointed at Ji Hao and howled hysterically and hoarsely, "Ji Hao! You killed Little Ruyi…I will destroy your Yao Mountain territory! I will…"
Hearing Kun Peng, Ji Hao felt speechless. He turned around, pointed at Kun Peng with his sword, and sneered, "Cut the crap. You want to kill every last one of my family anyway, don’t you? Why don’t you take an army to attack my Yao Mountain territory instead of yelling here then? Seeing Kun Peng quickly calm back down, Ji Hao laughed out loud, "But, I bet you don’t have the guts to do it! Kun Peng, you always think too much. You must be afraid that a giant trap might be waiting for you in Yao Mountain territory!" Sneering again, Ji Hao drummed his own chest and continued with a strong voice, "If you dare not to attack Yao Mountain territory, you can lead your army to me! But Kun Peng, can you make the call? Can you raise an army to attack me?" Kun Pen opened his mouth while his wrinkled face blushed. Abruptly, he took a large step towards Ji Hao. Yemo Tian screamed out immediately, "You’re going nowhere! Stay here and protect me, Kun Peng! Gong Gong told you to ensure my safety, and I’ve already been wounded seriously! If you ever dare to let me suffer any more harm, I will definitely make your offsprings pay for your mistake!" Kun Peng quivered, threw a complicated glance at Ji Hao, then gritted his teeth and stepped back to Yemo Tian, his face covered in blood. Yemo Tian also took a glance at Ji Hao with hatred. Wiping the sticky blood on his bald head, he silently flew up into the sky, quickly heading back to the heaven. It was way too dangerous out here. He would better wait until the flood consumed up all the life-force of the humankind, and softened the hard bones like Ji Hao, then come back down to take revenge. Dishi Cha was confronting Yemo Shayi. Seeing Yemo Tian leave, he sneered, silently transformed into a blood-red beam, and flashed away. At the moment, no one but Ji Hao, those warriors he won from Yemo Luoye, and Yuan Li, were left in midair. Yuan Li had been crying heartbreakingly with Snow’s spirit pearl held in his hands. From behind him, a large wave rolled over. Xiang Liu Junior and thousands of strong water-kind spirit creatures in their human shapes raised the great wave and chased up. While controlling the wave, Xiang Liu Junior yelled loudly, "Snow! Don’t be afraid! Your brother Xiang Liu Junior is here to save you! Haha! Yuan Li, that monkey is soft! But I’m not like him! I will certainly make you safe!" Xiang Liu Junior gave a big grin and showed his large shiny teeth, while excitedly swaying his long boa tail in the wave. Yuan Li suddenly burst with a shrill howl. He swiftly dove down from the air, flashed to before Xiang Liu Junior’s face. He pulled out a large iron stick from an unknown source, and smashed heavily on Xiang Liu Junior’s head. Xiang Liu Junior never thought that Yuan Li would attack him so suddenly. Following a howl, Xiang Liu Junior’s teeth all shattered. Vomiting blood, he was sent a long distance away by Yuan Li. NineAnime is the best site to reading The Magus Era The Magus Era Chapter 1131 free online. You can also go Novels Genres to read other novel or check Latest Releases for new releases.